NLD SOCOM – Netherlands Special Operations Command was inaugurated on December 5, 2018 at Gilze Rijen AFB. The NLD SOCOM will enable the Netherlands to effectively plan and execute special operations whenever they are called upon. NLD SOCOM reports directly to the Chief of Defence (CDS) and is designed to improve the planning and management of special operations deployment and readiness. The command will protect and verify the quality of Dutch SOF as well as bring increased efficiency with regard to SOF training and instruction. Admiral Bauer stressed the high level of expertise within Dutch SOF and the ability to work with a wide variety of partners. He gave credit to the individual quality and characteristics of SOF operators that ensured the success of special operations missions. A task force started setting up NLD SOCOM in the second half of 2017. The intent was to achieve Initial Operational Capability (IOC) in 2018 and to have NLD SOCOM at Fully Operational Capability (FOC) no later than 2020. 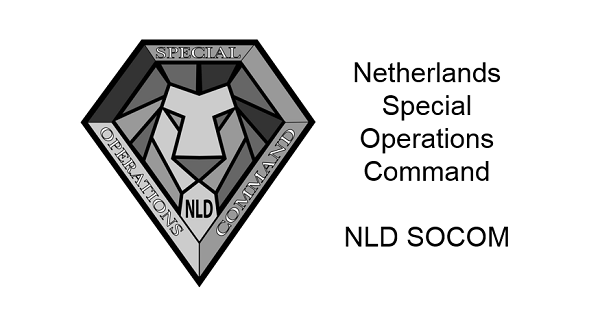 In addition to delivering command and control (C2) for Netherlands special operations, NLD SOCOM will enhance the Dutch special operations forces (SOF) effort by concentrating SOF knowledge and innovation, plans and policy, and quality control of SOF units. NLD SOCOM will work in an international network of SOF partners, industry, innovators, researchers, and universities. The Commander of NLD Special Operations Command, Major General Theo ten Haaf, addressed the audience attending the December 5th ceremony. He stressed the importance of the SOF team – mentioning the various units of the Dutch military with special operations elements. He also reached back into history – providing a sense of lineage for current Dutch SOF units by mentioning units of the past that were forerunners of the various SOF units that exist today. MG Haaf then described the SOCOM symbol – explaining what the various shapes and colors symbolized. He went on to explain the different types of missions that Dutch SOF have engaged in and the places around the world where they have deployed. In addition, he stressed the importance of integrating Dutch SOF into the global SOF network. NLD SOCOM commands task groups, task units, and elements formed by the Korps Commando Troepen (KCT) and the Maritime Special Operations Forces (MARSOF). These units are capable of a variety of missions across the spectrum of conflict. 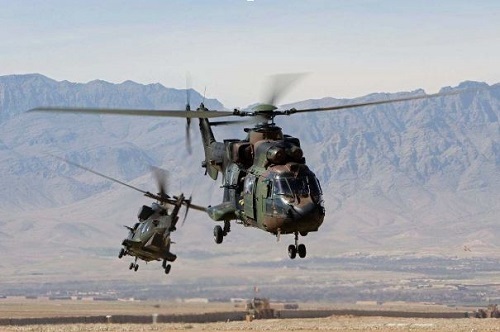 SOF rotary wing support will be provided by assigned units of 300 squadron. 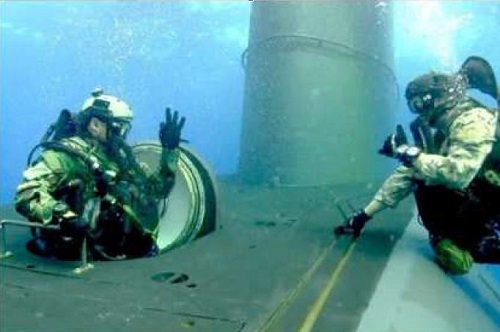 Submarine and special air missions are also part of operations under NLD SOCOM. NLD SOCOM has formed up a deployable multi-national Composite – Special Operations Component Command or C-SOCC made up of special operations forces from Denmark, Belgium, and The Netherlands. The first C-SOCC will stand up as part of the NATO Response Force. 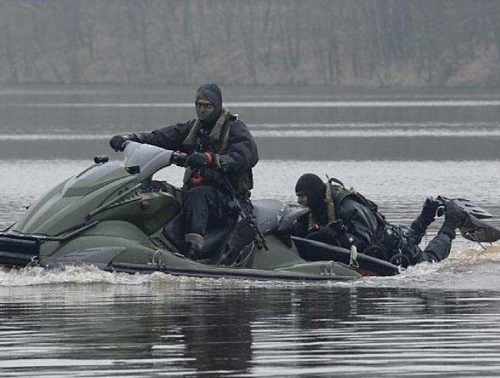 Dutch special operations units reside within the Royal Netherlands Army, Navy, and Air Force. Dutch SOF are assisted by conventional forces, special enablers, specialists from the Military Police, intelligence agencies, and various other partners. The establishment of the NLD SOCOM will enhance the capacity and capability of Dutch SOF as well as provide a C2 capability to NATO SOF. Curriculum Vitae Major General T.H.W. ten Haaf, Royal Netherlands Air Force, December 7, 2018. Speech by the Netherlands Chief of Defence, Admiral Rob Bauer at NLD SOCOM founding ceremony, December 5, 2018. Speech by MG Theo ten Haaf, Commander NLD Special Operations Command at the NLD SOCOM founding ceremony, December 5, 2018. Website: NLD SOCOM, Ministry of Defence. Video: NLD SOCOM, produced by the Netherlands Ministry of Defence, December 2018. Photos: Images and photos provided by Netherlands Ministry of Defence.